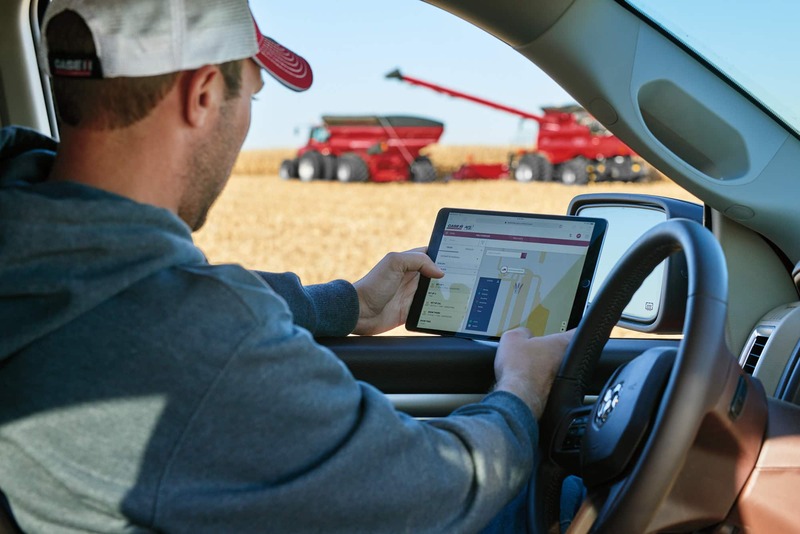 With AFS Connect, field, application and farm data are available at the touch of your fingertips, allowing for maximum organization while minimizing downtime. AFS Connect is a high-tech solution for the most difficult field challenges, helping you gain insights and get more done each day. Gather data throughout the year and easily visualize your field operations for better insights into your overall operational performance. Visualize activity, including tillage, planting, spraying, spreading, baling and harvesting. Aggregate data from multiple machines in one field and visualize actionable layers of agronomic data. This can include seed populations, fertilizer and yield data and more, specific to your operation. Efficiently plan your day by sharing guidance lines, field boundaries and prescriptions with multiple pieces of equipment. Remotely monitor and coordinate to optimize your fleet. Using AFS Connect from anywhere, you or your dealer can easily see exactly what the operator is seeing on the screen in the tractor cab. This provides the critical information you need to optimize machine performance, no matter the skill level of the operator.